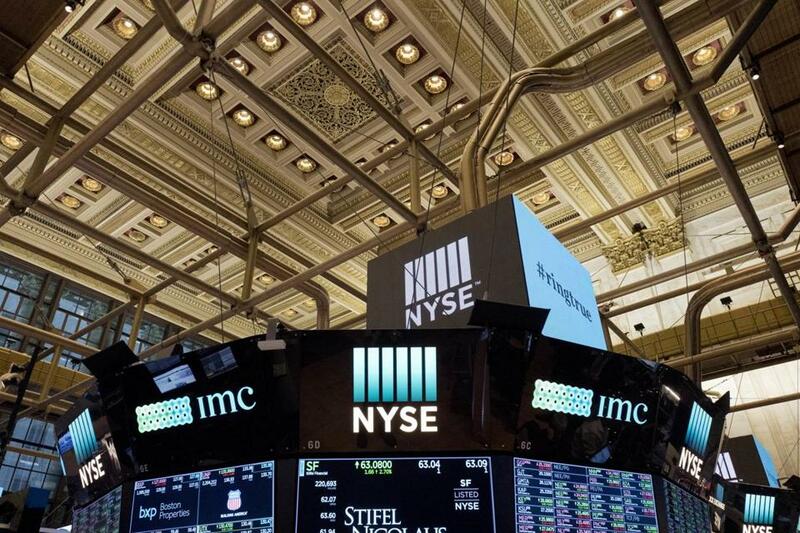 The interior of the New York Stock Exchange. NEW YORK (AP) — U.S. stocks plunged Wednesday as investors, fearful that rising interest rates and trade tensions could hurt company profits, ramped up their selling of high-flying technology and internet stocks. The Dow Jones Industrial Average fell 831 points, its worst loss in eight months. Wednesday’s drop should be placed in perspective. Since early 2009, the S&P 500 has quadrupled, driven higher by the U.S. economic expansion, hefty profits for corporations and historically low interest rates, all of which makes stocks an attractive investment. President Trump took a shot at the Federal Reserve on Wednesday after the Dow Jones Industrial Average fell 831 points, its worst loss in eight months. Big moves in interest rates tend to unsettle investors, and they can also push them to sell stocks and buy bonds instead. And there is still an overhang from the U.S. trade dispute with China, which accounts for sizeable portions of some tech companies’ revenue. President Trump reiterated those concerns Wednesday. 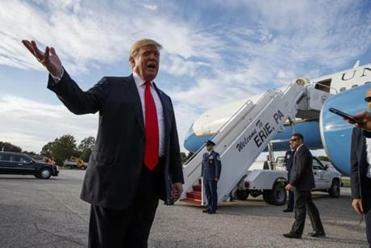 Trump told reporters after landing in Erie, Pennsylvania, for a campaign rally that he believes the Fed ‘‘is making a mistake’’ with its campaign of rate increases. ‘‘I think the Fed has gone crazy,’’ he said. The Dow Jones Industrial Average gave up 831.83 points, or 3.1 percent, to 25,598.74. The S&P 500 index sank 94.66 points, or 3.3 percent, to 2,785.68. The benchmark index fell for the fifth straight day, which hadn’t happened since just before the 2016 presidential election. The Nasdaq composite, with a large contingent of tech stocks, tumbled 315.97 points, or 4.1 percent, to 7,422.05. It’s fallen 7.5 percent in just five days. Some of the big losers were stocks that have scored double-digits gains earlier in 2018. Apple gave up 4.6 percent to $216.36 and Microsoft dropped 5.4 percent to $106.16. Amazon skidded 6.2 percent to $1,755.25 and Alphabet, Google’s parent company, gave up 4.6 percent to $1,092.16.